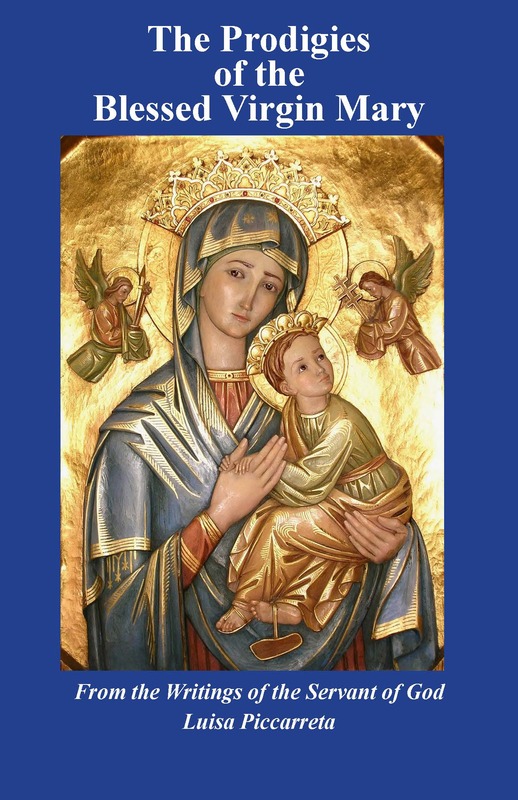 This novena may be made any time but it is especially good to honor the Mother of God in her Divine privilege by making the Novena between November 29-December 7, the eve of the Feast. The Original Stain is not in thee. Thou, the advocate of sinners. O Virgin Immaculate, who wast pleasing in the Lord’s sight and didst become His Mother, look graciously upon the wretched who implore thy mighty patronage. The wicked serpent, against whom the primal curse was hurled, continues none the less to wage war and to lay snares for the unhappy children of Eve. 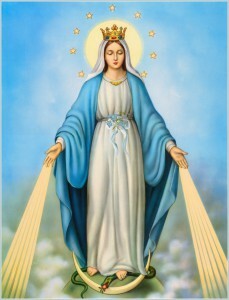 Ah, do thou, our blessed Mother, our Queen and Advocate, who from the first instant of thy conception didst crush the head of our enemy, receive the prayers that we unite single-heartedly to thine and conjure thee to offer at the throne of God, that we may never fall into the snares that are laid for us, in such wise that we may all come to the haven of salvation; and in the midst of so many dangers may holy Church and the fellowship of Christians everywhere sing once more the hymn of deliverance, victory and peace. Amen. sin, I commend and entrust the purity of my heart. O Virgin Immaculate, Mother of God and my Mother, from thy sublime height turn upon me thine eyes of pity. Filled with confidence in thy goodness and knowing full well thy power, I beseech thee to extend to me thine assistance in the journey of life, which is so full of dangers for my soul. And in order that I may never be the slave of the devil through sin, but may ever live with my heart humble and pure, I entrust myself wholly to thee. 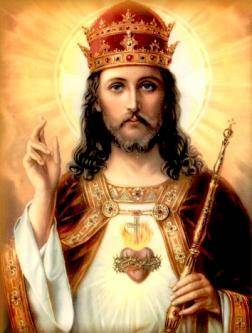 I consecrate my heart to thee for ever, my only desire being to love thy Divine Son Jesus. Mary, none of thy devout servants has ever perished; may I too be saved. Amen. God, that I may leave it without sin. Immaculate Mother of God, Queen of Heaven, Mother of mercy, Advocate and Refuge of sinners, behold, I, enlightened and inspired by the graces obtained for me abundantly from the Divine treasury through thy maternal affection, resolve this day and always to place my heart in thy hands to be consecrated to Jesus. To thee, therefore, most Blessed Virgin, in the presence of the nine choirs of Angels and all the Saints, I now give it. 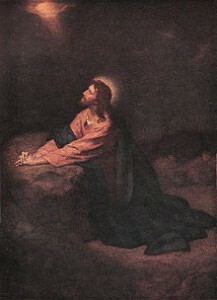 Do thou, in my name, consecrate it to Jesus; and out of the filial confidence which I hereby make profession of, I am certain that now and always thou wilt do all thou canst to bring it to pass that my heart may ever wholly belong to Jesus, and may imitate perfectly the example of the Saints, and in particular that of Saint Joseph, thy most pure Spouse. Amen. Blessed be the holy and Immaculate Conception of the Blessed Virgin Mary, Mother of God. O pure and immaculate and likewise blessed Virgin, who art the sinless Mother of thy Son, the mighty Lord of the universe, thou who art inviolate and altogether holy, the hope of the hopeless and sinful, we sing thy praises. We bless thee, as full of every grace, thou who didst bear the God-Man: we all bow low before thee; we invoke thee and implore thine aid. Rescue us, O holy and inviolate Virgin, from every necessity that presses upon us and from all the temptations of the devil. Be our intercessor and advocate at the hour of death and judgment; deliver us from the fire that is not extinguished and from the outer darkness; make us worthy of the glory of thy Son, O dearest and most clement Virgin Mother. In thy Conception, O Virgin Mary, thou wast immaculate; pray for us to the Father whose Son Jesus, after He was conceived by the Holy Ghost, thou didst bring forth into the world. O God, Who by the Immaculate Conception of the Virgin didst make ready a fitting habitation for Thy Son, we beseech Thee that Thou who didst keep her clean from all stain by the precious death of the same Thy Son, foreseen by Thee, mayest grant unto us in like manner to be made clean through her intercession and so attain unto Thee. Through the same Christ our Lord. Amen (Roman Missal). 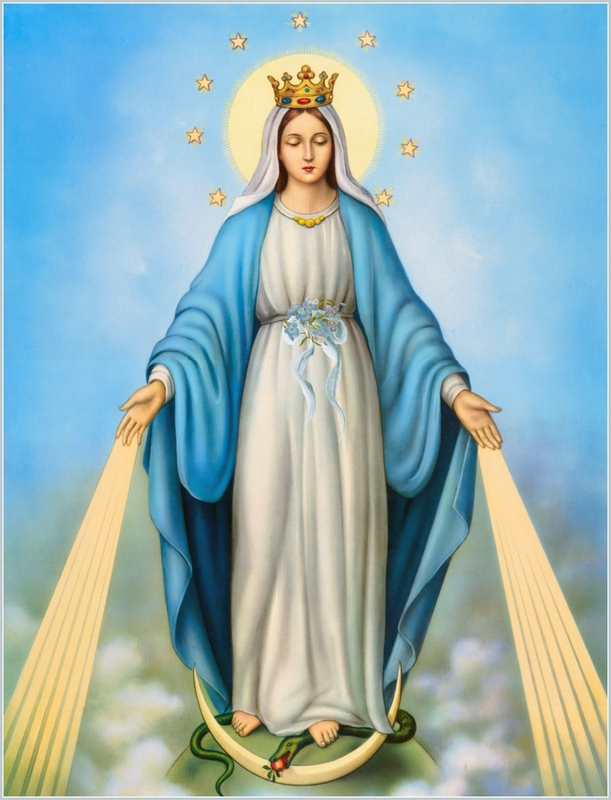 By thine Immaculate Conception, O Mary, make my body pure and my spirit holy. Most holy Virgin, who, being predestined to become the Mother of God, wast preserved by a singular privilege from Original Sin and filled with grace, confirmed in grace and enriched with all the gifts of the Holy Ghost, do thou accept, we pray, the homage of our most lively admiration and of our most profound veneration, the expression of our intense and reverent affection. At our feet, O Mary, the muddy torrent of lust did not halt, as it did before thine, that torrent that still flows across the world and threatens continually to submerge our souls also. We bear about within us and perceive around us countless deadly incentives that cease not to urge us on to savor the foul pleasures of sensual passion. 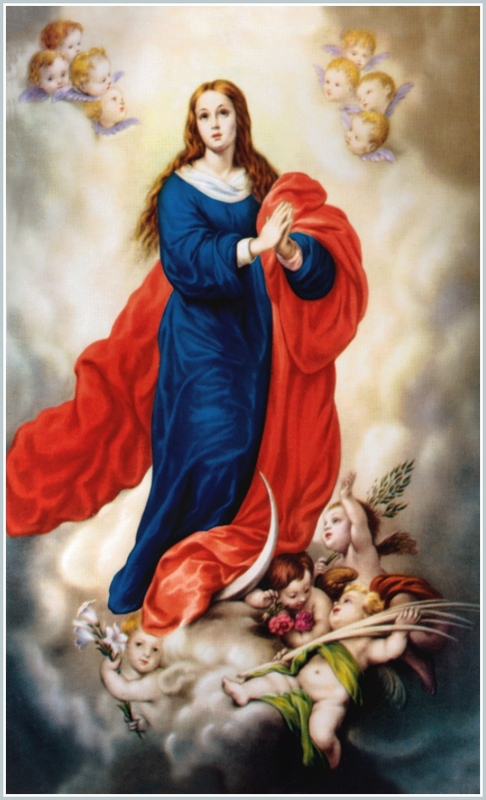 O good Mother, enfold us under thy mantle, protect us from the snares of the infernal enemy, renew in us our love of the angelic virtue, and grant that, by ever keeping vivid in our hearts the reflections of thy heavenly brightness, we may be able one day to sing to thee a hymn of love and glory in the world to come. O Mary, Mother of God and Mother of us, thou who by a singular privilege, in virtue of the foreseen death of our Redeemer, wast redeemed from the first moment of thy conception and preserved immune from every spot of Original Sin, we firmly believe in this thy privilege and we proclaim it aloud, saying: “Thou art all fair, O Mary, and in thee there is no stain”; thou art the Immaculate; thy raiment is white as snow; thy face shines like the sun; in thee we marvel at the brightness of eternal light and the spotless mirror of Divine beauty. Like the Divine Redeemer, thou art wholly and utterly fair, for in Him there can be no stain and thou art His most perfect reflection. 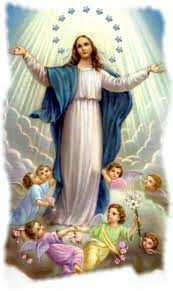 Glorious things are spoken of thee, O Mary; for He that is mighty hath done great things unto thee. Hail, holy Lady, most holy Queen! Mother of God, Mary ever-Virgin! Chosen by the most holy Father of Heaven, and by Him, with His most holy and beloved Son and the Spirit Paraclete, consecrated! Thou in whom was and is all the fullness of grace and of goodness! Hail, thou, His palace! Hail, thou, His tabernacle! Hail, thou, His home! Hail, thou, His vesture! Hail, thou, His handmaid! Hail, thou, His Mother! And hail, too, all ye holy virtues which, by the grace and light of the Holy Ghost, are poured into the hearts of the faithful, to make them from faithless ones, faithful children of God. O God, Who by the Immaculate Conception of the Virgin didst prepare a worthy dwelling place for Thy Son, we entreat Thee, Who didst preserve Her from all stain of sin by the Death of that same Son, foreseen by Thee, to grant that through Her intercession, we also may be made clean, and so may come to Thee, through the same Christ Our Lord. Amen. The Benefits of Repairing for Others. The reason why God is not known and loved: because they think that He is the God far away from creatures, while He is the Inseparable One. I was doing my round in the Creation, to follow the acts that the Divine Fiat does in the created things; and as I arrived at Eden, it seemed to me that my lovable Jesus was waiting for me to be able to communicate to me the love, the goodness, the sanctity, the power and everything He did in creating man, pouring all of Himself into him, to the point of filling him completely with Himself and with His Divine Qualities—but so much, to the point of overflowing outside, giving him the task, as the highest honor for man, to avail himself of His Love, Goodness, Sanctity and Power in order to carry out his life in the very Goods of He who had created him. I felt as though soaked with the Divine Qualities, and my sweet Jesus told me: “My daughter (Luisa), man was created to be inseparable from God; and if He is not Known and Loved, it is precisely because they think that God is the Being far away from man, as if we had nothing to do—either he with Us, or God with him. To believe Him far away causes God to be dispersed from man, and everything I had in creating him, Our very Divine Qualities, remain weakened, suffocated and, for many, as if they had no life; while Our Divinity is not far away, but close—even more, inside of man, and in all his acts We are Actors and Spectators. Therefore, Our (the Divine Trinity) Sorrow is great in seeing that the creatures consider Us and believe that We are far away from them, and therefore they neither know Us nor love Us. “To think of Us as far away is the deadly iron that kills the love of the creature toward the Creator; distance breaks any friendship. Who can ever think of loving, of knowing and of hoping from a faraway Being? No one. And We are forced to repeat: ‘We are with them—inside of them, and it seems that they do not know Us; and while their love, their will, by not loving Us, are far away from Us, they say that We are far away from them.’ And this is the reason for which some, who have read My Intimacies with you (Luisa), have reached the point of doubting—it is precisely this: because they think that I AM the faraway God, and being far away, so many Intimacies between you (Luisa) and Me could not take place. The name “Andrew” (Gr., andreia, manhood, or valour), like other Greek names, appears to have been common among the Jews from the second or third century B.C. St. Andrew, the Apostle, son of Jonah, or John (Matthew 16:17; John 1:42), was born in Bethsaida of Galilee (John 1:44). He was brother of Simon (Peter) (Matthew 10:2; John 1:40). Both were fishermen (Matthew 4:18; Mark 1:16), and at the beginning of Our Lord’s public life occupied the same house at Capharnaum (Mark 1:21, 29). From the fourth Gospel we learn that Andrew was a disciple of the Baptist, whose testimony first led him and John the Evangelist to follow Jesus (John 1:35-40). Andrew at once recognized Jesus as the Messias, and hastened to introduce Him to his brother, Peter, (John 1:41). Thenceforth the two brothers were disciples of Christ. On a subsequent occasion, prior to the final call to the apostolate, they were called to a closer companionship, and then they left all things to follow Jesus (Luke 5:11; Matthew 4:19-20; Mark 1:17-18). Finally Andrew was chosen to be one of the Twelve; and in the various lists of Apostles given in the New Testament (Matthew 10:2-4); Mark 3:16-19; Luke 6:14-16; Acts 1:13) he is always numbered among the first four. The only other explicit reference to him in the Synoptists occurs in Mark 13:3, where we are told he joined with Peter, James and John in putting the question that led to Our Lord’s great eschatological discourse. In addition to this scanty information, we learn from the fourth Gospel that on the occasion of the miraculous feeding of the five thousand, it was Andrew who said: “There is a boy here who has five barley loaves and two fishes: but what are these among so many?” (John 6:8-9); and when, a few days before Our Lord’s death, certain Greeks asked Philip that they might see Jesus, Philip referred the matter to Andrew as to one of greater authority, and then both told Christ (John 12:20-22). 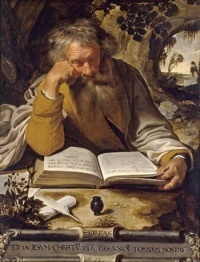 Like the majority of the Twelve, Andrew is not named in the Acts except in the list of the Apostles, where the order of the first four is Peter, John, James, Andrew; nor have the Epistles or the Apocalypse any mention of him. 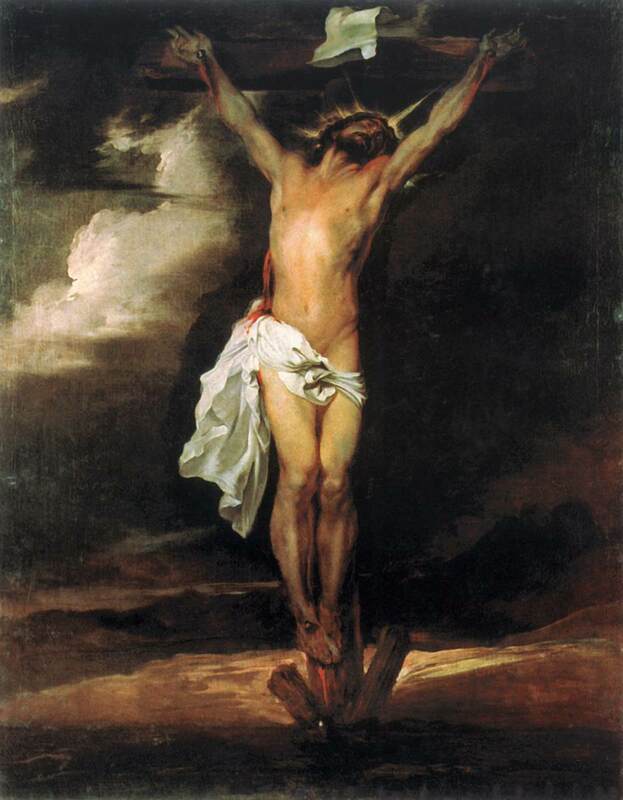 It is generally agreed that he was crucified by order of the Roman Governor, Aegeas or Aegeates, at Patrae in Achaia, and that he was bound, not nailed, to the cross, in order to prolong his sufferings. 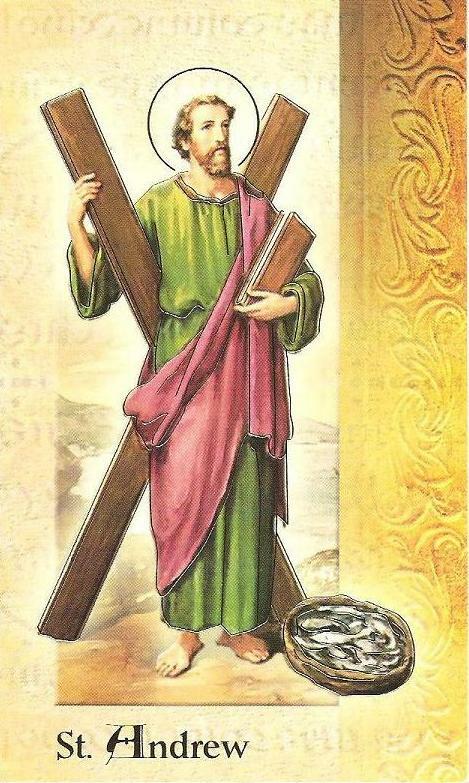 The cross on which he suffered is commonly held to have been the decussate cross, now known as St. Andrew’s, though the evidence for this view seems to be no older than the fourteenth century. His martyrdom took place during the reign of Nero, on 30 November, A.D. 60); and both the Latin and Greek Churches keep 30 November as his feast. St. Andrew’s relics were translated from Patrae to Constantinople, and deposited in the church of the Apostles there, about A.D. 357. When Constantinople was taken by the French, in the beginning of the thirteenth century, Cardinal Peter of Capua brought the relics to Italy and placed them in the cathedral of Amalfi, where most of them still remain. St. Andrew is honoured as their chief patron by Russia and Scotland. through the merits of Our Savior Jesus Christ, His Holy Mother Mary and St.Joseph. We humbly entreat Thy Majesty, O Lord, that as the blessed Apostle Andrew was once a teacher and ruler of Thy Church: so he may be a constant advocate for us before Thee. Through our Lord Jesus Christ, Thy Son, Who Liveth and Reigneth with Thee in the Unity of the Holy Ghost, one God, world without end. Amen. One who goes out of the Divine Will, goes out of the Light. 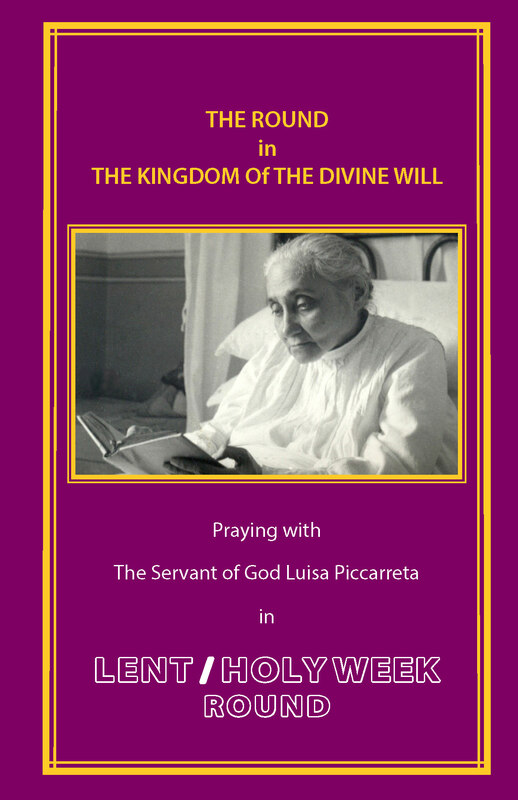 Jesus, in coming, told me: “My daughter (Luisa), don’t you know that as the soul goes out of My Divine Will, it is like a day without sun for her, without heat, without the Life of the Divine Attitude within her?” And I: ‘My Love, may Heaven keep me from doing this. I would rather die than go out of Your Will. Therefore, place Your Will in me, and then say to me, “It is My Divine Will that today I do your will”.’ And Jesus: “Ah, cattivella! [bad little one!] All right, I (Jesus) will make you (Luisa) content. I will keep you with Me as long as I want, and then I Myself will leave you free.” Oh! how happy I was that, without doing my will, Jesus, identifying His Will with mine, would do my will while doing His Will. The Good of Operating Together with Jesus. It seems I am speaking a lot of nonsense. These are intimate things, and I am unable to say them well; I would like to write them as I have them in my mind, but I cannot. It seems that I take one drop of Light, and one hundred more escape me. It would have been better had I kept silent, but, after all, may everything be for the Glory of God. The Sanctity of Living in the Divine Will is exempt from personal interest and waste of time. I continue in order to obey. It seems that my always lovable Jesus wants to speak about the Living in His Most Holy Will. It seems that when He speaks about His Most Holy Will, He forgets everything and makes one forget about everything. The soul finds nothing other than the necessity – no other good than to live in His Volition. 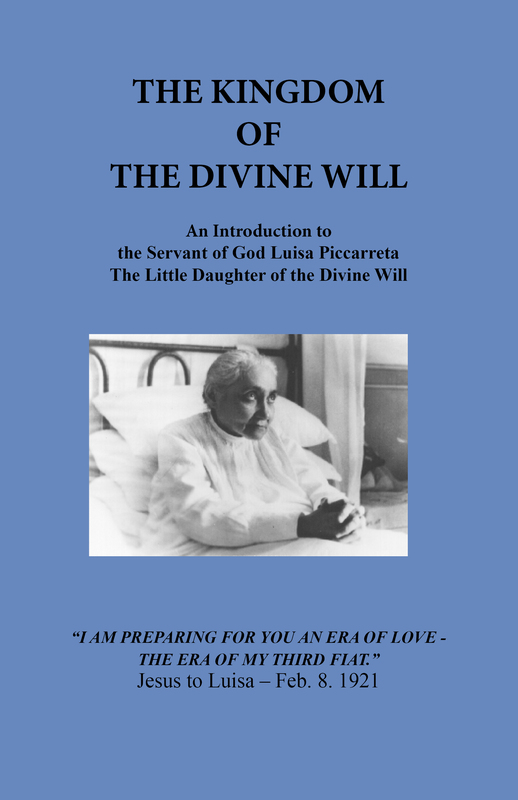 So, after I wrote about His Will on November 20, my sweet Jesus, being disappointed with me, told me: “My daughter (Luisa), you did not say everything. I want you to neglect to write nothing when I speak to you about My Divine Will – not even the most tiny things, because all of them will serve for the Good of Posterity. In all sanctities there have always been Saints who first started each kind of sanctity. So, there was the Saint who started the sanctity of the penitent; another who started the sanctity of obedience; another of humility, and so with all the other sanctities. 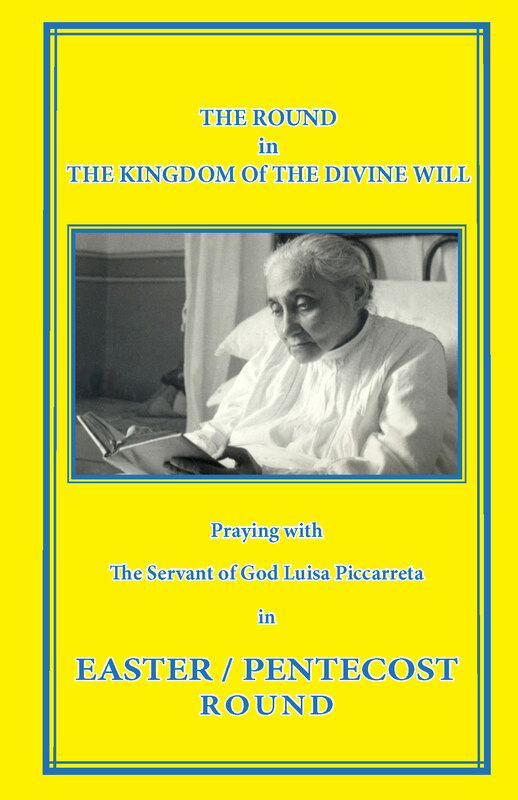 Now I (Jesus) want you (Luisa) to be the beginning of the Sanctity of Living in My Divine Will. 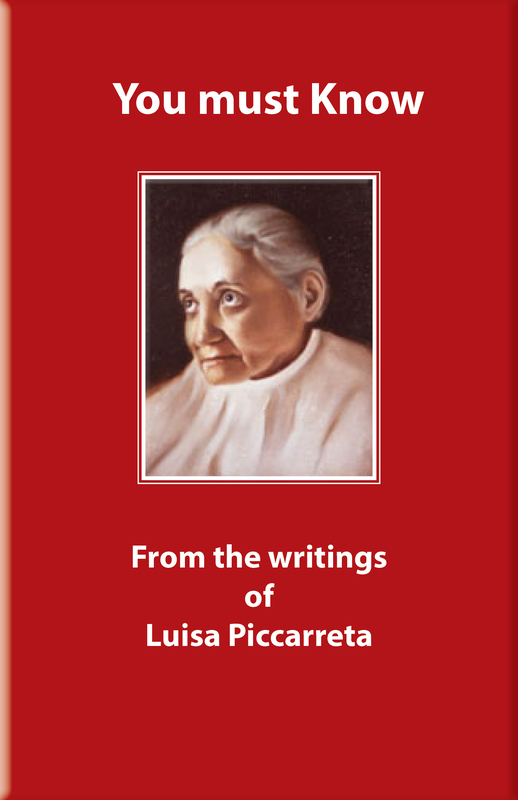 My daughter (Luisa), all other sanctities are not exempt from waste of time and from personal interest – as for example, a soul who lives attentive to obedience in everything. There is much waste of time; her saying and re-saying continuously, distracts her from Me, and she mistakes the virtue for Me. If she does not have the opportunity to take all the orders, she lives restless. Another one suffers from temptations – oh, how much waste of time! She never tires of telling of all her trials, and she mistakes the virtue for Me. And many times these sanctities end up in ruin. But the Sanctity of Living in My Divine Will is exempt from personal interest and waste of time; there is no danger that they might mistake the virtue for Me, because I Myself am the Living in My Divine Will. This was the Sanctity of My Humanity on earth, and therefore It did everything for everyone, without a shadow of personal interest. Self-interest takes away the Mark of Divine Sanctity. Therefore, it can never be a Sun; at the most, as beautiful as it may be, it can be a star. This is why I (Jesus) want the Sanctity of Living in My Divine Will – in these times, so sad, this generation needs these Suns, which may warm it, illuminate it and fecundate it. The disinterest of these terrestrial angels, all for the good of others, without a shadow of their own self, will open in hearts the way to receive My Grace. And then, churches are few and many will be destroyed. 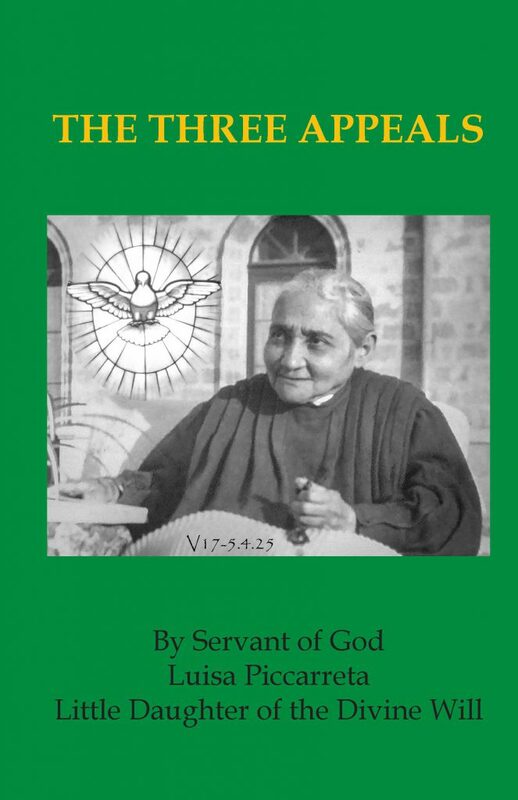 Many times I do not find Priests to consecrate Me; other times they allow unworthy souls to receive Me, and worthy souls not to receive Me; other souls are unable to receive Me, therefore My Love finds Itself hindered. This is why I want to make the Sanctity of Living in My Divine Will. In It, I (Jesus) will no longer need Priests to be consecrated, nor churches, tabernacles or hosts. These souls will be everything altogether: Priests, churches, tabernacles and hosts. My Love will be more free. 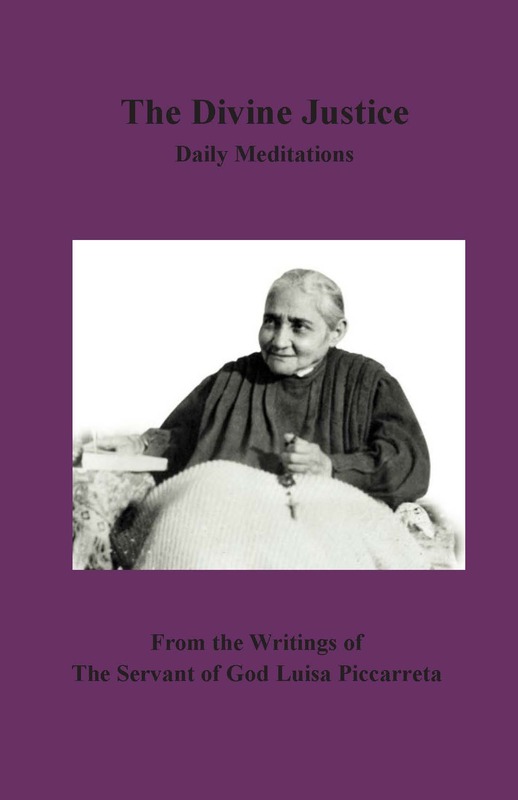 Anytime I want to consecrate Myself, I will be able to do it – in every moment, during the day, at night, in any place where they might be. Oh, how My Love will have Its complete outpouring! 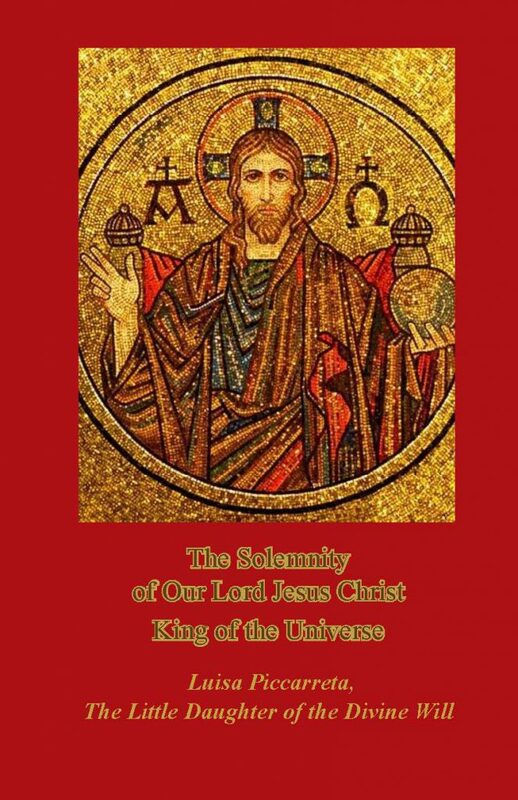 Ordered by Pope Pius XI to be recited on the Feast of Christ the King. Most sweet Jesus, Redeemer of the human race, look down upon us humbly prostrate before Thine altar. We are Thine, and Thine we wish to be; but, to be more surely united with Thee, behold each one of us freely consecrates himself today to Thy most Sacred Heart. Many indeed have never known Thee; many too, despising Thy precepts, have rejected Thee. Have mercy on them all, most merciful Jesus, and draw them to Thy sacred Heart. Be Thou King, O Lord, not only of the faithful who have never forsaken Thee, but also of the prodigal children who have abandoned Thee; grant that they may quickly return to Thy Father’s house lest they die of wretchedness and hunger. Be Thou King of those who are deceived by erroneous opinions, or whom discord keeps aloof, and call them back to the harbor of truth and unity of faith, so that there may be but one flock and one Shepherd. Be Thou King of all those who are still involved in the darkness of idolatry or of Islamism, and refuse not to draw them into the light and Kingdom of God. Turn Thine eyes of mercy towards the children of the race, once Thy chosen people: of old they called down upon themselves the Blood of the Savior; may it now descend upon them a laver of redemption and of life. Grant, O Lord, to Thy Church assurance of freedom and immunity from harm; give peace and order to all nations, and make the earth resound from pole to pole with one cry: “Praise be to the Divine Heart that wrought our salvation; to it be glory and honor for ever.” Amen. 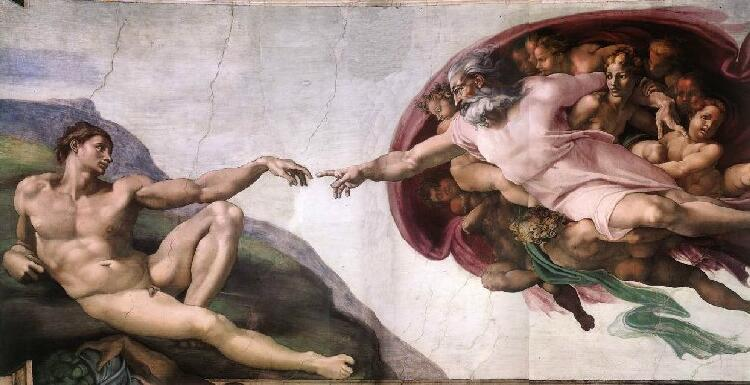 The centralization of the Purpose of Creation, of Redemption and of Glorification. 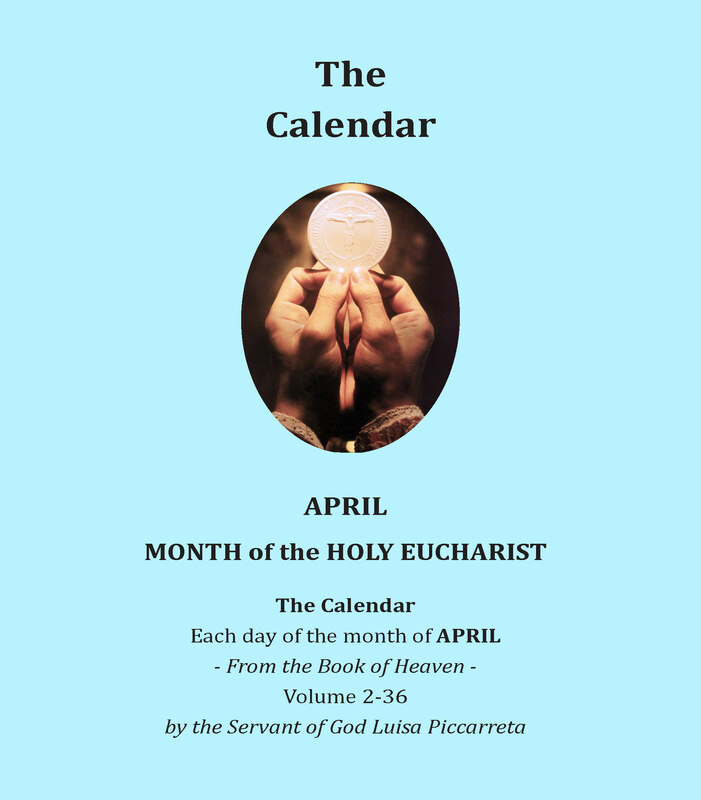 The Divine Will as Life of the creature surpasses the Miracle of the Eucharist. And He: “This you must banish. Besides, if I (Jesus) did not choose you (Luisa), I certainly should have chosen another one from the human family. In fact, the human family rebelled against My Divine Will, and by rebelling, it took away from Me the Purpose of the Glory and of the Honor which Creation was supposed to give Me. 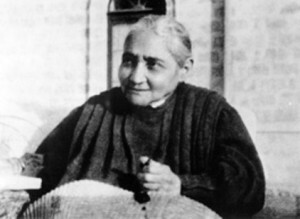 Therefore, another from the same human family, by having a continuous connection with My Divine Will, by Living more with My Divine Will than with her own, embracing everything within My Volition, was to rise over everything so as to lay at the feet of My Throne the Glory, the Honor and the Love which all the others have not given Me. The only Purpose of Creation was that all would fulfill My Divine Will – not that man would do great things; rather, I (Jesus) look at those as trifles and I despise them if they are not Fruits of My Divine Will. This is why many works turn to ruin at their peak: because the Life of My Divine Will was not in them. So, having broken his will from Mine, man destroyed My best – the Purpose for which I had created him. He ruined himself completely, and denied Me all the Rights which he owed Me as Creator. But My Works carry the Mark of Eternity, and My infinite Wisdom and My Eternal Love could not leave the Work of Creation without Its Effects and the Rights which were due to Me. 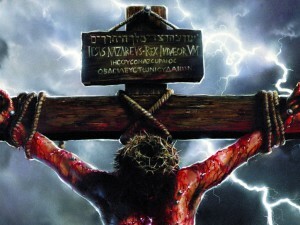 This is the reason for Redemption. With so many pains, I (Jesus) wanted to expiate all the sins of man – by never doing My own will, but always that of the Divinity, even in the most tiny things, such as breathing, looking, speaking, etc. My Humanity did not move, nor did It have life, if It was not animated by the Will of My Father. I (Jesus) would have contented Myself with dying a thousand times rather than take a breath without His Will. Through this, I joined again the human will with the Divine, and through My Person alone, being true Man and true God, I (Jesus) returned to My Father all the Glory and the Rights which befitted Him. 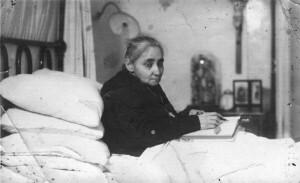 But My Divine Will and My Divine Love do not want to be alone in My Works – they want to make other images similar to Me. After My Humanity restored the Purpose of Creation, I (Jesus) saw that, because of man’s ingratitude, the Purpose of Redemption was in danger, and almost ruined for many. Therefore, so that Redemption might bring Me complete Glory and give Me all the Rights which were due to Me, I (Jesus) took another creature from the human family – My Mama (Mary), faithful copy of My Life, in whom My Divine Will was preserved as whole, and I (Jesus) centralized in Her (Celestial Mama, Mary) all the Fruits of Redemption. So I (Jesus) rescued the Purpose of Creation and Redemption; and if no one had taken advantage of Redemption, My Mama (Mary) would give Me all that the creatures would not have given Me. Now I (Jesus) come to you (Luisa). I was true Man and true God, My dear Mama (Mary) was innocent and Holy, and Our Love pushed us even further: We wanted another creature who, being conceived like all the other children of men, would take the third place at My Side. I (Jesus) was not satisfied with the fact that only Myself and My Mama (Mary) remained unbroken with the Divine Will. We wanted other children who, in the name of all, Living in full accord with Our Will, would give Us Divine Glory and Love for all. 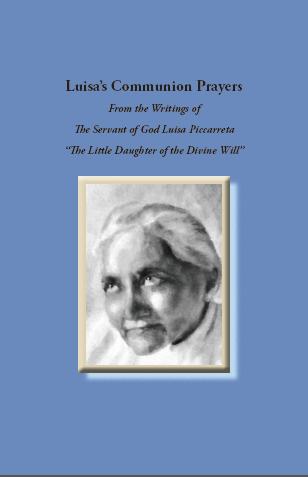 Therefore I (Jesus) called you (Luisa) from Eternity, when nothing yet existed down here; and just as I (Jesus) longed for My dear Mama (Mary), delighting in Her, caressing Her, and pouring upon Her, in torrents, all the Goods of the Divinity, so I (Jesus) longed for you (Luisa), I caressed you, and the torrents which were poured on My Mama (Mary) inundated you (Luisa) – for as much as you were capable of containing. 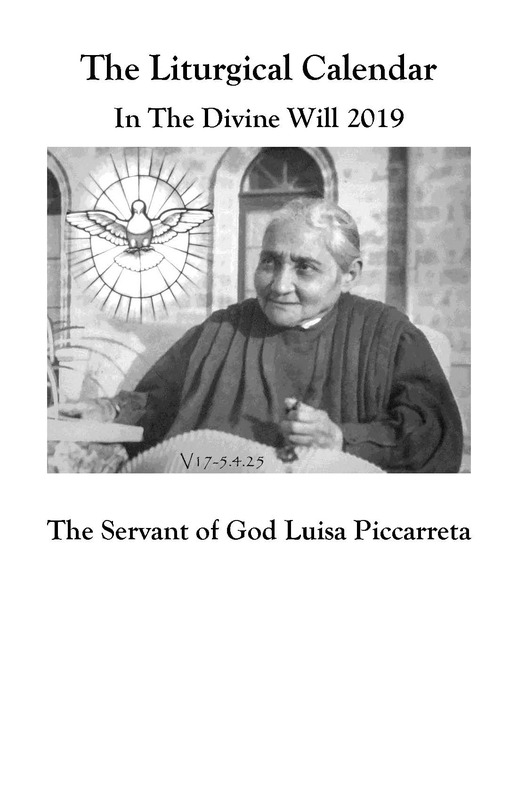 They (torrents of Goods) prepared you (Luisa), anticipated you; and embellishing you, they gave you the Grace that My Divine Will be whole in you (Luisa), and that My Divine Will, not yours, would animate even your tiniest acts. My Life, My Divine Will and all My Love flew in each act of yours. What contentment! How many joys did I not feel! 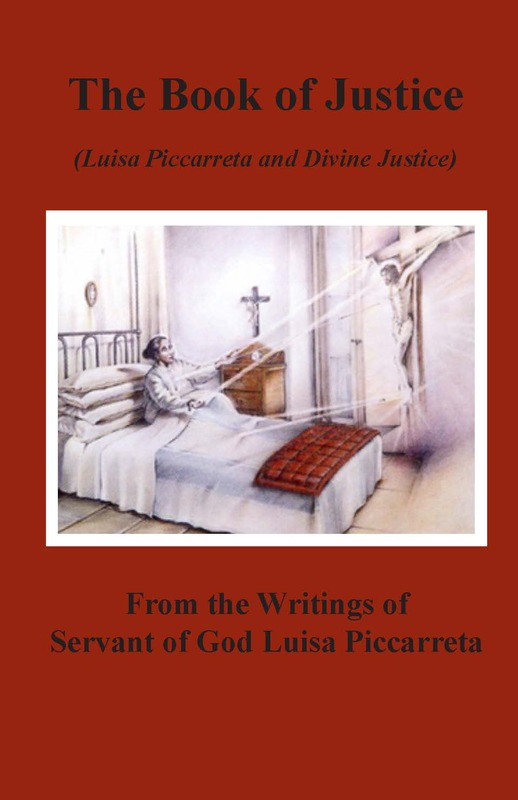 This is why I (Jesus) call you (Luisa) second support after My Mama (Mary). 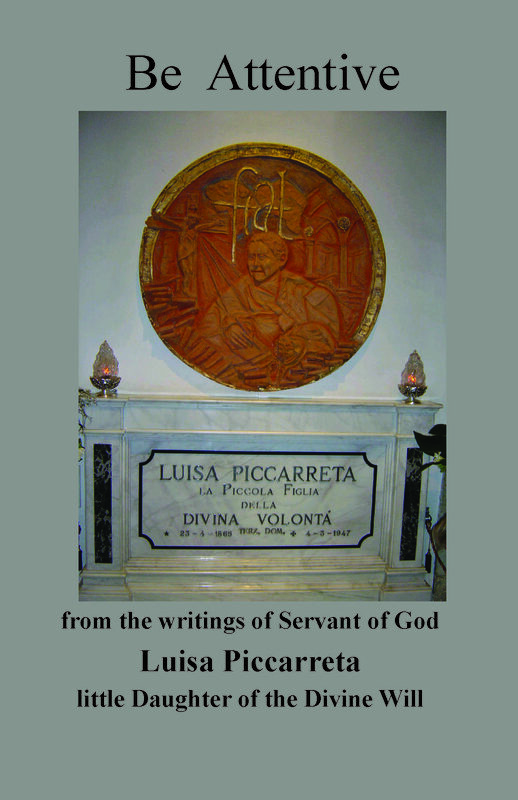 Not upon you (Luisa) did I (Jesus) lean – because you were nothing, and lean I could not – but upon My Divine Will, which you (Luisa) were to contain. My Divine Will is Life, and whoever possesses It possesses Life, and is able to sustain the Author (God) of Life Itself. Stupefied, I said: ‘My Love, is it possible that Your Will is whole in me, and that in all my life there has been no break between Your Will and mine? It seems to me that You are making fun of me.’ And Jesus, with a tone even sweeter: “No, I AM not making fun of you. It is really true that there has been no break; an injury at the most – sometimes. And My Love, like strong cement, has repaired these injuries, and has rendered the integrity stronger. I (Jesus) have guarded each one of your acts, making My Divine Will flow immediately, as if to Its Place of Honor. 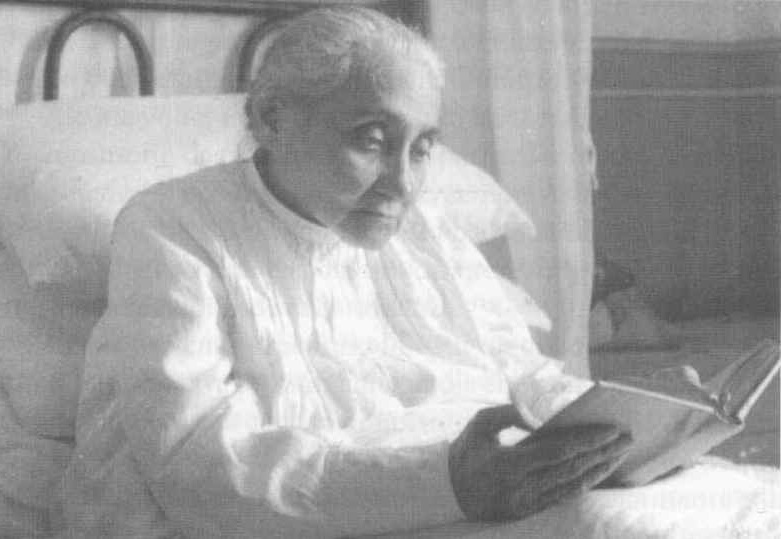 I knew that many Graces were needed, since I was to operate the greatest miracle that exist in the world – that is, the continuous Living in My Divine Will: the soul must absorb the whole of a God into her act, to give Him back again as whole as she absorbed Him; and then absorb Him once again. Both in Jesus and in souls, the First Crafting is done by Love. Finding myself in my usual state, I was thinking about the Agony of Jesus in the Garden; and blessed Jesus, making Himself seen for just a little, told me: “My daughter (Luisa), men did nothing but work the skin of My Humanity, while the Eternal Love worked all of My interior. So, in My Agony, the Eternal Love, the Immense Love, the Incalculable Love, the Hidden Love – not men – opened large wounds in Me, pierced Me with flaming nails, crowned Me with burning thorns, made Me drink boiling gall. And My Humanity, unable to contain so many different martyrdoms at the same time, poured out large streams of Blood; It writhed, and reached the point of saying: ‘Father, if it is possible, let this chalice pass from Me; yet, not My will, but Yours be done’ – which It did not do in the rest of the Passion. Everything I (Jesus) suffered during the course of the Passion, I suffered all together in the Agony – but in a more intense, more painful, more intimate way, because Love penetrated deep into the marrow of My Bones and into the most intimate fibers of My Heart, which creatures could never reach. But Love reaches everything; there is nothing that can resist It. So, My first executioner was Love. This is why in the course of My Passion there was not even a reproachful glance in Me toward those who acted as My executioners – because I had a more cruel, more active Executioner in Me: Love. And where the external executioners could not reach, or a little part of Me was spared, Love would continue Its work and spare Me nothing.